We’re pleased to announce to our customers that … the popular MASAMOTO Honkasumi Gyokuhaku-ko Chef Knife (Gyuto)240mm has newly got in stock, in a very limited quantity. 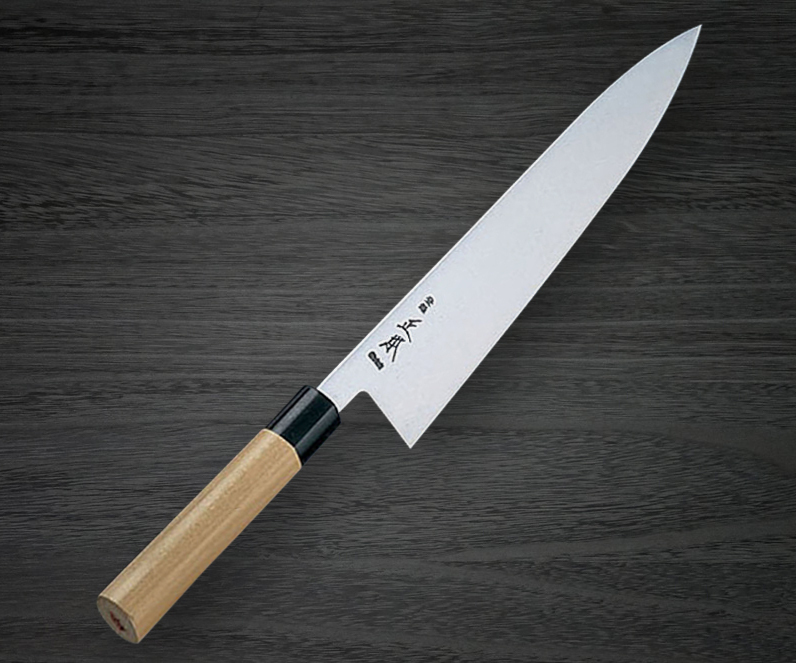 This gyuto 240mm KS3124 has been back-ordered for approx. a year because their traditional-beautility & popularity. But, now is the extremely rare chance to purchase the valuable blades just for you. Again, the stock is very limited, and we hope that you don’t miss this rare opportunity. >> Go to check Masamoto Honkasumi Gyokuhaku-ko (Buffalo Tsuba) Chef Knife(Gyuto) 240mm.